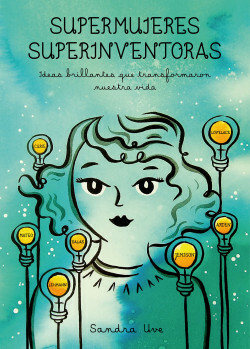 An homage to more than ninety indispensable female inventors from our history. Many of them we don’t know, but their brilliant ideas changed our lives. In these pages, Sandra Uve presents us with more than 90 women from history who swam against the current, managed to patent their inventions, and achieved physical and intellectual liberty. Strong, visionary, tenacious, sensitive, and intrepid, these women – protagonists at last in Superwomen, Super Inventors – are shown in watercolor portraits alongside reproductions of the original patents for their inventions. They promoted transversal discourses and evolved new ways of looking at women’s reality. This journey through the world of creativity gives us insight into their work and the important changes that each of their inventions brought to our history.